In actuality, I LOVE every single bit of it. This past weekend all my available sisters, nieces, sister-in-law, etc.. got together at my Mum's house and we did our Holiday baking day together. There is something very special about these days. We take every single day together as the gift that it is. Okay, Onto the Recipe! This is one I make ahead and bring to share with my Mum and my Sisters on our baking day. 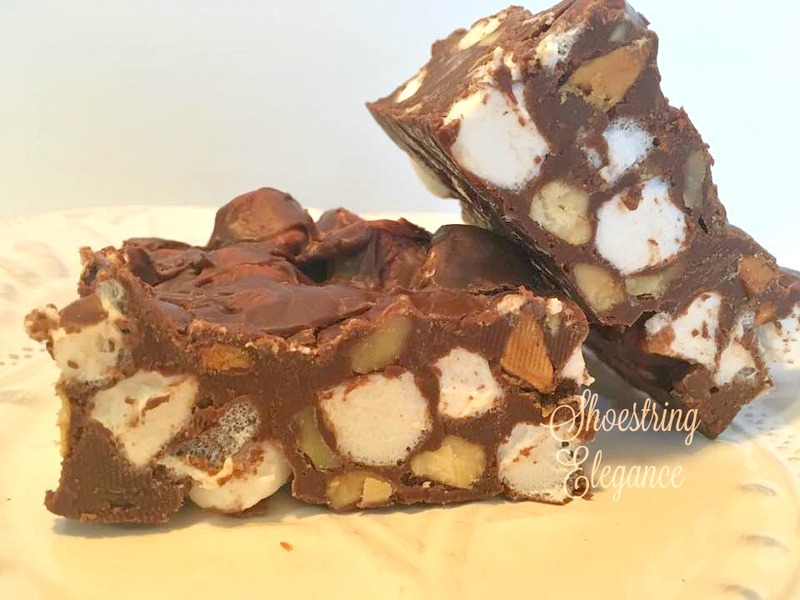 Rocky Road! I love it and honestly, this recipe couldn't be easier! I just love the combination of roasted nuts. I make it with 3 different kinds, you can make it with whichever are your favorite, total nuts 2 cups. 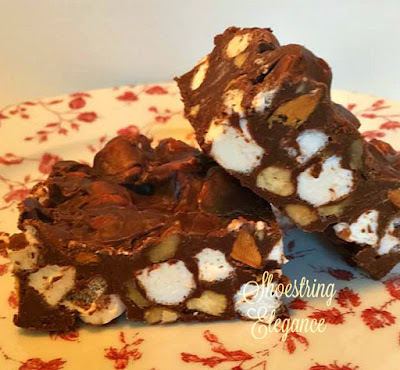 If you line your pan with parchment or plastic wrap and lightly brush some butter on it, the rocky road will just lift out of the pan and make it so easy for you to cut it without losing any goodies stuck to the pan. If you are using the Printer-friendly button below, you can choose to just print out this recipe card for reference and safekeeping. I highly recommend storing this in an airtight container, out-of-sight, or it will disappear before you intended it to. I hope you enjoy it as much as we do! I had to put one last mouth-watering image in just for fun! Thank you so much for stopping by and visiting me today. 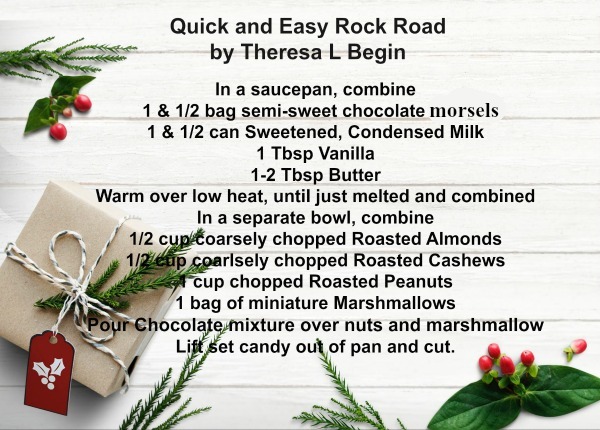 I, truly, do hope you will give this recipe a try and share it with your friends and family this Christmas Season. It is a nice addition to any one's Christmas baking day! Take some time to bake with your family! This is so simple & I will add it to my Holiday sweet tray. Thank you for this recipe. I'm so glad, Mariana. Thanks for the comment. Let me know how you liked it. Oooh, this looks so yummy, I may try it this year, thank you! I hope you do, Lisa! Let me know! This looks amazing!!! Pinned so I can make it with the kids! Oh Kristin, I'm so glad! This would be a great one to make with the kids. Thank you so much for the comment! Happy December! 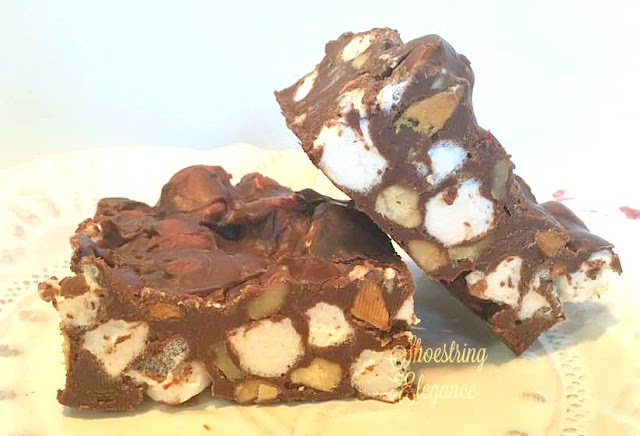 I've never tried making rocky road. It looks really yummy. I bet my grand kids would love this candy. Thanks for sharing at the Inspiration Spotlight party. Pinned & sharing. 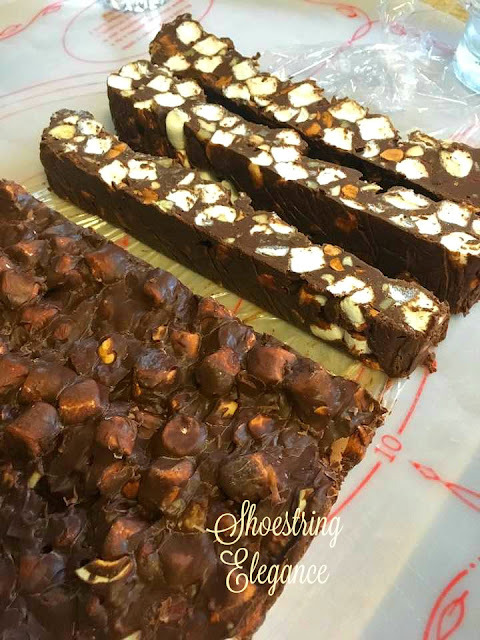 What a great candy soft and chewy and a great candy to add to trays!! Thanks for sharing on Oh My Heartsie Girls Friday Features this week! Your Rocky Road looks delicious, we will just love it! Hope you have a great week and thanks so much for sharing with us at Full Plate Thursday. Congratulations! Your post was my feature pick at #OverTheMoon this week. Visit me on Sunday evening and to see your feature! I invite you to leave more links to be shared and commented upon. Please don’t forget to add your link numbers or post title so we can be sure to visit! Mouth-watering is the perfect description for this, Theresa! Yum, yum, yum. My grandmother used to make this candy sometimes, but I don't have a recipe for it. Thank you for sharing yours! Oh, Richella, I'm so happy you enjoyed it. And thrilled to death that I have given you the recipe to make your own. 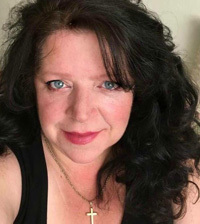 Thank you so much sweet lady for the beautiful feature. Wishing you a wonderful Christmas holiday season. These look truly mouth watering. I love to make stuffs ahead of time so I can have some last minute sanity. This recipe is too good to try. I will surely make them for our next get together. Thanks for the recipe! This is so Easy and looks amazing. I have never seen a recipe like this one. Thank You for sharing.. I pinned it and will make it. It will be a big hit with the family!